Edit: I assume everyone figured out this is an April Fool’s Day post. I’ll leave it up for posterity. Enjoy your Xanaxparagus! The House of Representatives and Senate have both passed a new piece of legislation concerning the intersection of agriculture and pharmaceuticals. A group of members of the House and Senate agriculture and drug industry committees met in secret earlier in the week to draft the bill. The omnibus bill replaces the existing Farm Bill, which was up for reauthorization this year. While activists have long critiqued previous iterations of the Farm Bill for things like subsidizing corn and other commodity crops linked to diseases of civilization, and not going far enough enough to support sustainable farmers or people experiencing food insecurity, the new legislation is likely to raise ire. But it might be worth a second look. The controversy is sprouting because the Pharm Bill approaches food from a medical –– or really pharmaceutical –– perspective. Under the bill –– and under the watch of new so-called “adrugcultural” corporations –– growers will receive subsidies for partnering with drug companies to genetically modify their crops to include commonly-prescribed medications. This means next year’s markets could bring us products such as Xanaxparagus, Amoxicelery, Priloseckle Pears, Broccodin, Lipitorpedo Onions, Cialeriac, Lexasprouts, Ibuprofennel, Viagrapes, and more. Unsurprisingly to many activists, giant agricultural biotech corporation Monsanto is involved, partnering with Pfizer to develop and offer a fertilizer called Fertilepfizer to all participating farms. Fertilepfizer is available for free the first year. Although if it’s not paid for after that, it self-destructs, taking the nutrients of surrounding soil with it. Any farmer with traces of Fertilepfizer on his or her field must pay for it. 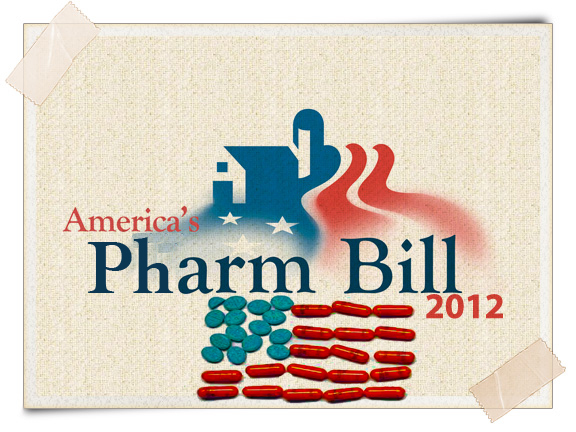 Many of my fellow local and sustainable food advocates have already responded with alarm to news of the Pharm Bill. But, despite my concerns about the Fertilepfizer component, I worry they may be reacting too hastily. Americans, after all, need their prescription drugs. Now Americans can get their medications –– organic, of course –– sourced from within 100 miles of home. Besides, we all know Americans don’t eat enough fruits and vegetables. This might be a way to get people to eat their amphetagreens. To make lemonade out of lemons. Or to make something out of lemons; citrus fruits haven’t been modified in experiments yet, so we don’t know what. Maybe Ritalemonade. Seriously, though. For those trying to remember to take Vicodin with dinner, why not just take Vicodinner? For those taking birth control pills, what if they came in the form of peas: seven per pod, four pods per month? Wouldn’t that be easier to remember? And couldn’t this bring down costs of prescription drugs, something of concerns to Americans across all party lines? I don’t know all the details yet about other parts of the Pharm Bill; it’s 31,242,366,889,463.4 pages long, after all. And not everyone is so optimistic about the changes. Some farmers are reacting to the news as an opportunity to increase revenue. Others are pledging to fight back. Still others are already reeling from the news with despair, showing signs of depression, anxiety and hopelessness. Not wanting to abandon them in such a condition, the new adrugcultural companies are promising they have a pill –– or a bean –– that will help. 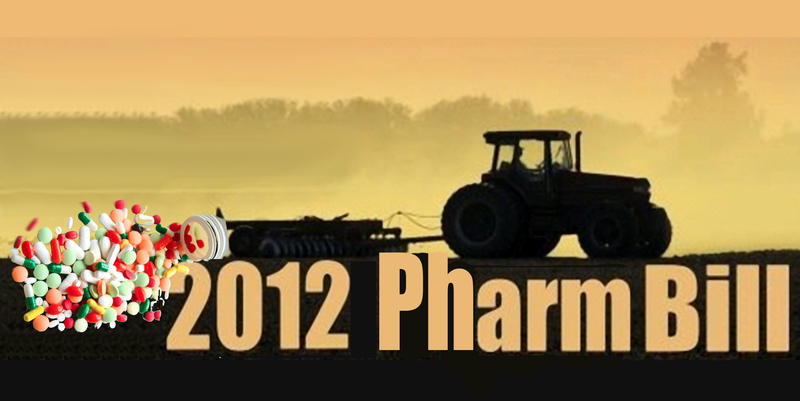 To read the full text of the 2012 Pharm Bill, go here.